I love Chicago. I first visited that great city one winter with my college pal Mark Brown on a visit to his parents, who'd just moved there in the early 70s. We had a short but terrific stay, packing a lot of things into our brief visit: Muddy Waters at a blues club, getting stopped by a crooked traffic cop (paid him off, as I recall), and some great food. The trip was slightly marred by the fact that I was coming down with mono (I thought I was lovesick at the time). The city is currently doing one of those "everybody reads the same book" deals, and chose a novel by a writer who essentially ignored Chicago and wrote extensively about another place: Los Angeles. 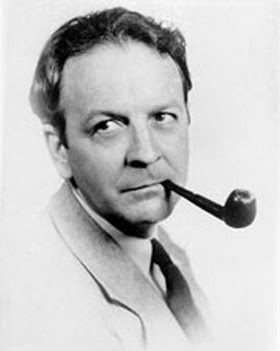 Raymond Chandler was born in Chicago but is the leading chronicler of L.A. in the 30s and 40s. He's been in and out of style but his books have never gone out of print, and may be the most imitated American writer of all time, surpassing even Hemingway (whom Chandler tried to copy as a way of learning the craft). 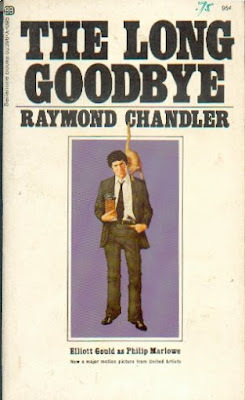 The Chandler novel selected by Chicago is the story my favorite movie, The Long Goodbye, is based on. 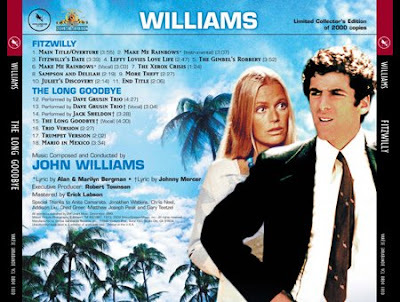 Elliot Gould, a highly controversial choice at the time, played Chandler's private eye protagonist, Philip Marlowe. The ending of the film, which differed from the novel, was also provocative (but so was the beginning). The film is quite well known for its soundtrack (which was released years after the movie in a limited edition that's out of print) featuring the title song performed by a diversity of musicians in a variety styles (jazz vocal, instrumental, mariachi et al) in different scenes. It also features David Carradine, Jim Bouton, Henry Gibson, Sterling Harden and a young Arnold Schwarzenegger as a thug in the gang of Marty Angelo, played by the journeyman film director Mark Rydell.